Buckinghamshire may not be the most wild and rugged county, however it does have some great amenities and places to visit, making it a prime location for a weekend away or short mid-week break. Close to London and with loads to see and do in Buckinghamshire itself staying in a Farm Stay cottage or B&B will still give you the feel of the countryside and a place of relaxation and comfort, as well as excellent value, especially for those booking outside of term times. thanks to the painstaking effort put in by the curators of the park to include as much intricacy and detail as possible. For those who definitely don’t want to be around children and who enjoy a beer, the Rebellion Beer Company is the perfect destination. With 3 beers available all year round, 2 regular 500ml bottled beers, 4 seasonal ales and 12 monthly beers produced throughout the year, there is plenty to sample and something to suit everyone’s tastes. However the brewery is more than about simply drinking beer, you will also be able to see the brewing process and the creation of all the beers on offer. Buckinghamshire also has a great variety of magnificent manors and estates, including: Waddesdon Manor, Hedsor House and Stowe House. Waddesdon Manor is a splendid 19th century Chateauesque building reminiscent of Versailles on a smaller scale, Hedsor House is a Manor house which can trace its root back to 1166 and Stowe House and the huge surrounding gardens dates back to 1683. Each of these properties is a fantastic day in itself so you will have to prioritise careful what you want to fit into your short break. 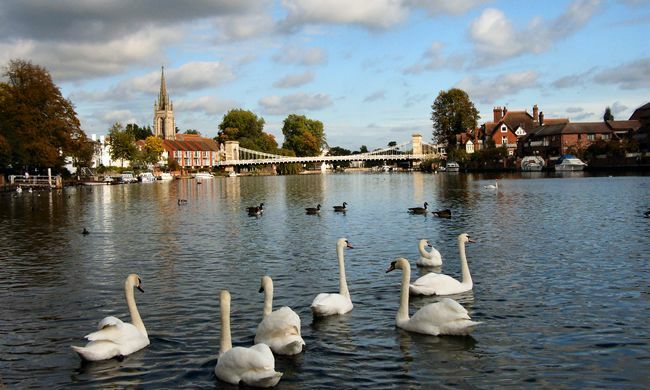 There is plenty to see and do in Buckinghamshire, no matter what your interests or age, and you are sure to love staying in your Farm Stay holiday cottage or B&B in this captivating county.